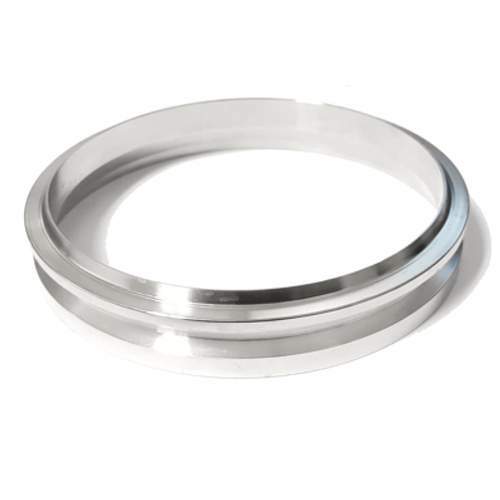 Special 5 Inch V-Band Stainless flange designed for Garrett Turbine Housings with a 5 Inch V-Band Outlet Flange (5.25 Inch outer diameter ring). SFI Garrett Turbine Housings require "Alternate Product Option". * Choose alternate product option for SFI Garrett Turbine Housing. * Garrett GT47, GTX47, GT50, GTX50, GT55, and GTX55 series models are available with a 5 inch V-Band Flange Outlet Turbine Housing. * NOT compatible with Garrett GT42 and GT45 series models including a T6 turbine housing. Please purchase ATP Part Number ATP-FLS-221. * Choose alternate production option "flat face.." to order a matching pair for a universal 5 inch V-Band flange joint.